Our daily lives can be stressful, whether from a high pressure office job or a day of physical labor. These stresses make your muscles tense and can cause other pains and ailments. Massage therapy is a great way to relieve stress, help sore muscles heal and recharge your body. Whatever your case may be, we have the skills to bring you relaxation, harmony, and relief. Just like you, your children can benefit from massage therapy. Among other things, massage therapy can benefit your child with reduced stress, eased growing pains, improved development, and deeper sleep. At HughesHands LLC we are dedicated to providing quality massage to big kids and little ones. We accept appointments and walk-ins at our office. HughesHands LLC is owned and operated by Licensed Massage Therapist Allissa Hughes. Allissa discovered that she had natural talent for massage and a strong desire to help other people. This combination led her to the world of massage therapy. 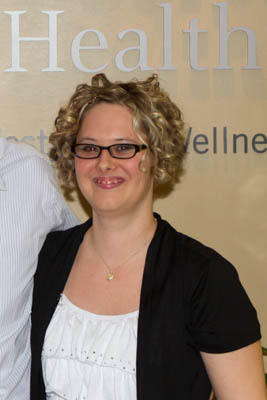 Allissa studied massage therapy at WellSpring School of Allied Health where she completed their 912 hour massage therapy program, graduating with a 4.0 GPA. Allissa also has a passion for helping children and since becoming a licensed massage therapist she has taken several additional massage courses from the internationally recognized LiddleKidz Foundation and is now a certified Infant Massage Teacher and Pediatric Massage Therapist. She also has certifications for Nurturing Touch for Autism and Cerebral Palsy. Allissa also holds a Bachelors of Fine Art in Theater with an emphasis in sound and lighting design and has spent many years working with youth in high school theatre programs. As an Infant massage teacher, Miss Hughes would be glad to attend your class or meeting as a presenter. Please contact me if you wish to host an Infant Massage class! Used as a relaxing massage, will help with tension and stress relief. Typically a whole body massage but can be done on problem areas. For the family athlete getting ready for a sporting event, as it stimulates the muscles and awakens the body. Or after a sporting event to calm the body and help with recovery time. My office is located on 23rd Street, east of Noland Rd.